Learn how Chris Hedberg uses UMAXX to keep his course at peak performance and improve his bottom line. 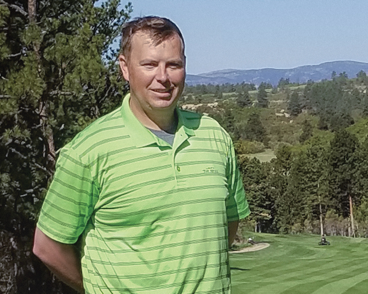 Chris Hedberg is superintendent of the Ridge at Castle Pines, a 77-acre course outside of Denver, CO.
From a few holes, you can see all the way to Pikes Peak, and downtown Denver. Using reclaimed water is a big priority for the Ridge—they’re even a Certified Audubon Sanctuary. Chris uses UMAXX stabilized nitrogen fertilizer on his course: a urea-based product with a 46-0-0 analysis. UMAXX can be used as a granular or dissolved into a spray mix. UMAXX’s extended longevity helps Chris save money in many different parts of his business, such as reducing labor expenses. 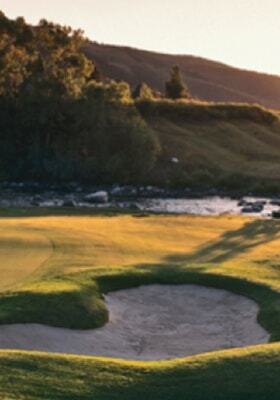 John Rom of Wilbur-Ellis in Denver, CO, recommends Koch Turf & Ornamental (Koch) products to golf course superintendents. The enhanced efficiency fertilizer (EEF) technology in XCU® slow-release, UMAXX stabilized nitrogen and other Koch fertilizers helps his customers grow high-quality turf and improve course playability. Superintendents know that incorporating EEFs in the blend they buy lets them precisely dial in needed nutrition on every part of their course. "I've used POLYON® fertilizers for years; it's been a greater product depending on location and turf variety." "UMAXX® stabilized nitrogen in every tank on our greens during the growing season has increased the quality and playability of our putting surfaces." 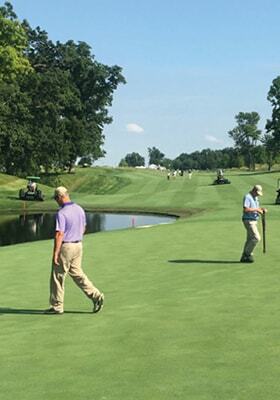 "Since switching to DURATION CR® we have experienced a vast improvement in the conditions of our rough; the density and health of the turf has never been better." "I've used XCU® fertilizer and really like the way the product releases and feeds the plant for long-term health." "I've been using POLYON® fertilizer on our tees and fairways; It has made a noticeable difference; I like the green color and the controlled release means fewer applications." "We have used UFLEXX® stabilized nitrogen for the last 3 years as our main fertilizer nutrition on our bentgrass surfaces; we can control our fertilization rates precisely." "DURATION CR® fertilizer has changed the way I fertilize my roughs and green surrounds; I have no idea why it took me so long to make the switch. Awesome results." "We use the POLYON® fertilizer on tee and green surrounds to maintain color without getting the flush of growth, which makes playing conditions unfair to the golfer." 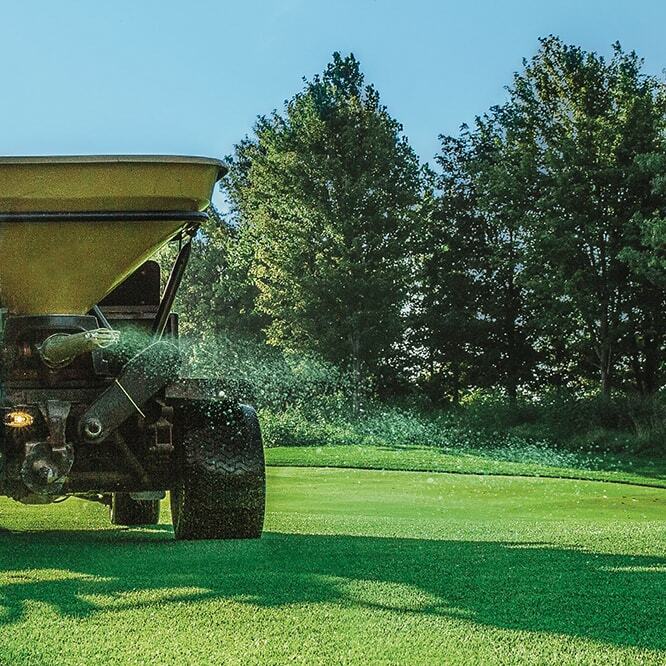 "We use NUTRALENE® fertilizer on all our fairways, our tees and rough starting in late spring, early summer; it's become a vital tool in our maintenance program." EEFs require fewer applications, resulting in extended longevities that can help save superintendents like you time and money. See how this technology works, and how it can keep your course at peak performance all season long. Kevin Ross decided to use EEFs after seeing them produce healthy, dense turf in rough areas at the Country Club of the Rockies.